The EC had recognised the Nitish Kumar faction of the JD-U as the "real party" and hence entitled to use the party's Arrow poll symbol. 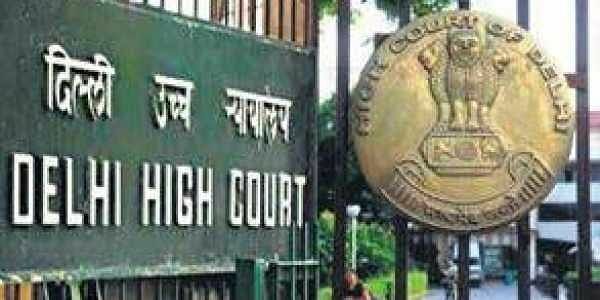 NEW DELHI: The Delhi High Court on Thursday issued a notice to Janata Dal-United (JD-U) leader Ramachandra Prasad Singh and the Election Commission (EC) on a plea filed by the Sharad Yadav faction of the party, challenging the poll panel's order of granting the party's "Arrow" symbol to the faction led by Bihar Chief Minister Nitish Kumar. Justice Indermeet Kaur sought a response from the Commission and Singh, a Rajya Sabha member from the party, on the plea and posted the matter for hearing on February 19. K. Rajasekaran, the newly-appointed President of the Sharad Yadav faction of the JD-U, filed the petition, seeking that the November 25 order of the Commission, by which it granted the Arrow symbol to the Nitish Kumar-led faction, be set aside. Earlier, legislator Chottubhai Vasava of the Sharad Yadav faction had moved the high court against the poll panel's November 17 order rejecting their claim to the JD-U symbol. On Vasava's plea, the high court had asked the Commission to pass a reasoned order in the matter and on November 25, the poll panel had passed the order giving details of the decision. The poll panel had said that the group led by Nitish Kumar had demonstrated overwhelming majority support in the legislature wing as well as in the National Council of the JD-U -- the apex organisational body of the party. Sharad Yadav, a former President of the JD-U, broke away from the Bihar Chief Minister and JD-U President Nitish Kumar after the latter joined the Bharatiya Janata Party (BJP)-led National Democratic Alliance (NDA) in July this year. The Election Commission had referred to the Supreme Court's verdict wherein the apex court had upheld the principle of test of majority support in the organisational and legislative wings.